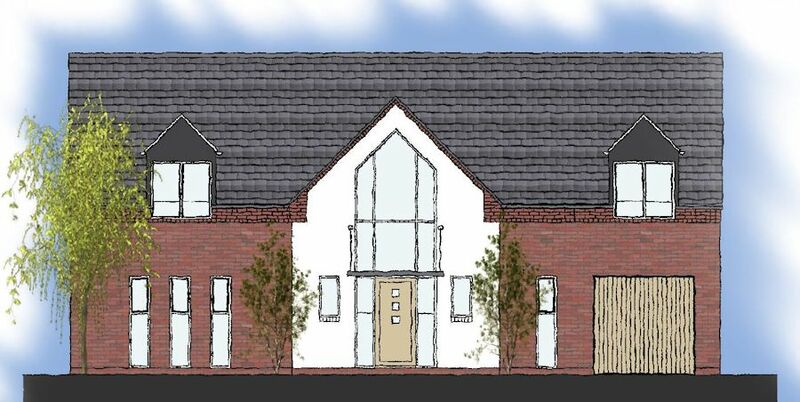 AVD was instructed to design a 4 Bedroom family dwelling on a Plot of land in Hinckley. Our work included preparing a feasibility design for the project. The proposed dwelling was fenestrated to not directly reflect the local vernacular but add a twist of modern architecture to the design. The space and planning of the dwelling maximised the land within the boundary and the internal layouts created a free and flowing family home which is suitable for a modern day living. The elevations incorporated a mix of brick and render and key gable feature which incorporated a glazed section to project filtering light into the Hall & first floor Gallery.